There may not have been any hardware announcements, but Apple surely made up for any disappointment with the volume and quality of the software it showed off. It’s been a big day in the world of iOS and OS X, so we thought it is best to have a quick rundown of what’s been announced and give you a chance to relive the whole keynote by linking to the official live stream of the WWDC 2014 event. Just as expected, Apple announced iOS 8 at the WWDC opening keynote this morning. Following the big departure that was iOS 7, this new version comes with much the same interface as last year’s, but that doesn’t mean there’s no fun to be had. Oh, how long have we been begging for notifications that can be acted upon right from the lock screen or Notification Center? Forever? That sounds about right to us. Now, after years of waiting, iOS users can now interact with notifications without having to open any apps. It’s like magic. But not, well, not. New APIs lets third party app developers build new system-wide keyboards for iOS. The popular Swype was shown during the keynote, and we can’t wait to try it out. Speaking of keyboards, iOS will now try and predict what you’re trying to type, offering words that can be tapped so as to avoid having to fully type every word of a sentence. Apple has now given makers of health-related hardware as well as those behind home automation a way to tie into iOS via third-party apps. Imagine being able to have lights dim, doors lock and music play all at the touch of one button. Health-wise, Apple is already working with Nike and others to try and make iOS your hub for all your health tracking. Siri now has Shazam integration, but the big news is hands-free invocation of Siri. A simple ‘Hey Siri’ will kick it into gear, meaning no more pressing buttons. The former now has in-line audio and video messages, location sharing and destructible messages, the latter can now search online as well as for stuff that’s local to your device. Know how we always wanted apps to be able to talk to each other properly? That’s extensions. Widgets? Well, they’re widgets in Notification Center that can perform actions without having to launch apps. We like widgets. We like them a lot. Its announcement was no surprise, but some of its features certainly were. 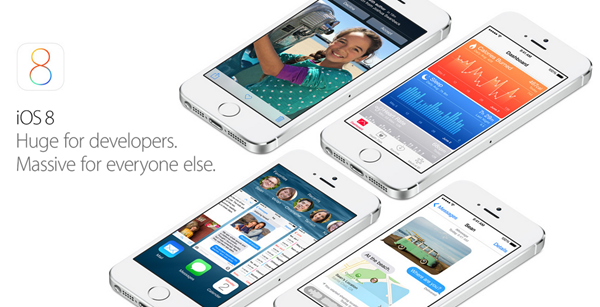 You’ll need iOS 8 to take advantage of them, but you’ll sure be rewarded if you do! This is where the magic really happens with Yosemite and iOS 8. With both installed, you’ll have AirDrop that works across mobile and Mac, Instant Hotspot which creates hotspots on iPhones without ever actually touching them, and Handoff. That, in particular, is distinctly voodoo-like in the way it lets you do things like start writing an email on one device and then finish it on another. If there’s one thing you’ll want to watch the keynote video for, it’s that! Think iOS 7/8, but on a Mac. It looks lovely. You read that right. The Messages app now has SMS messages relayed to it from an iPhone, and that goes for calls too. Someone rings you on your iPhone and you answer it on your Mac. It’s called the future, and we’re living in it. Like iOS 8, Yosemite will have third-party widgets in Notification Center and the whole notification panel has had a lick of paint. The Mac now also has iOS’s Today view which is home to appointments, reminders and the like. All kinds of little tweaks here and there have found there way into Safari and Mail. If you’re a big user of either, you’re sure to find something new to play with here. Apple’s way of taking on Dropbox. Think of it as a cross between the iCloud we’re all used to, and the iDisk that was around when MobileMe was. You’ll be able to browse iCloud Drive as if it was a normal folder, which is a game changer. 5GB of storage is free, with more available for a fee. Apple also made other announcements aimed squarely towards developers, and Apple dedicated a whole part of the keynote just for that. It’s safe to say that this has been one of the busier WWDC events, and there’s much, much to digest. 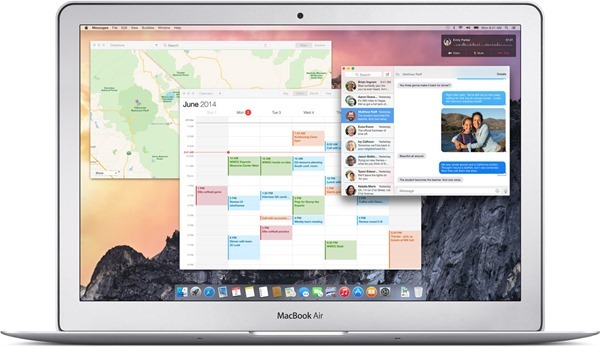 We’re busy installing betas left and right, so expect more in-depth analysis as we get to grips with all the little nuances of iOS 8 and OS X 10.10 Yosemite. And there are plenty of those to work through!